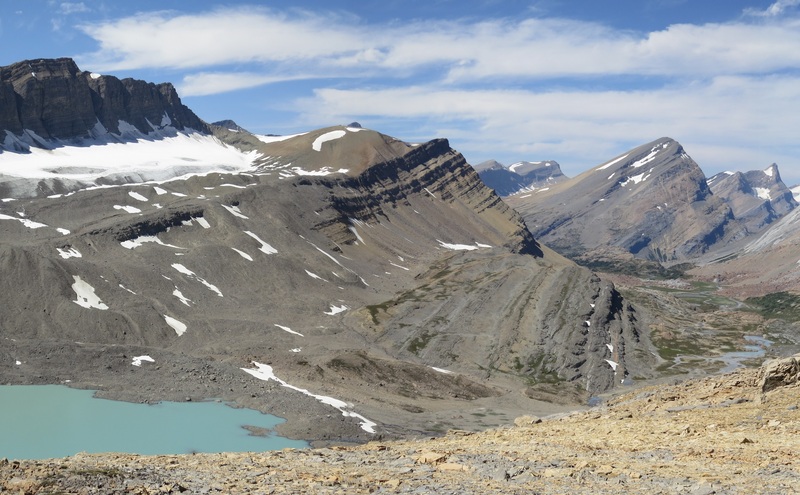 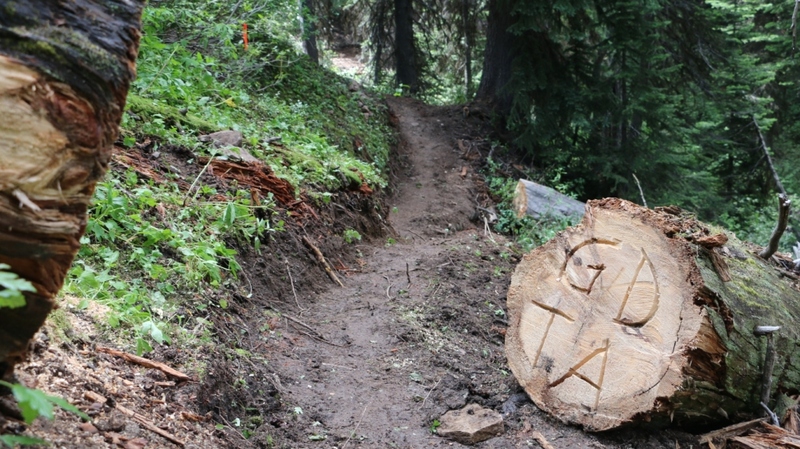 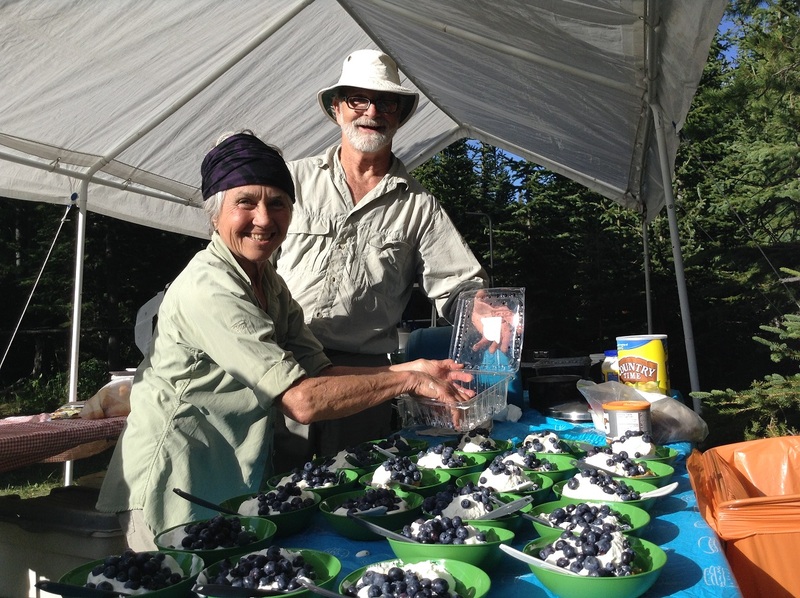 From July 20-24, 2016, the Great Divide Trail Association sent in our largest crew ever to begin construction of the first new section of the GDT in thirty years. 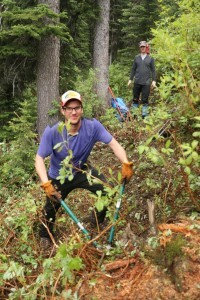 26 hard-working volunteers worked to clear the forested corridor, establish tread and flag future trail in what will become the High Rock Trail section of the GDT. Cutting ribbon on the first new section of the GDT in 30 years! 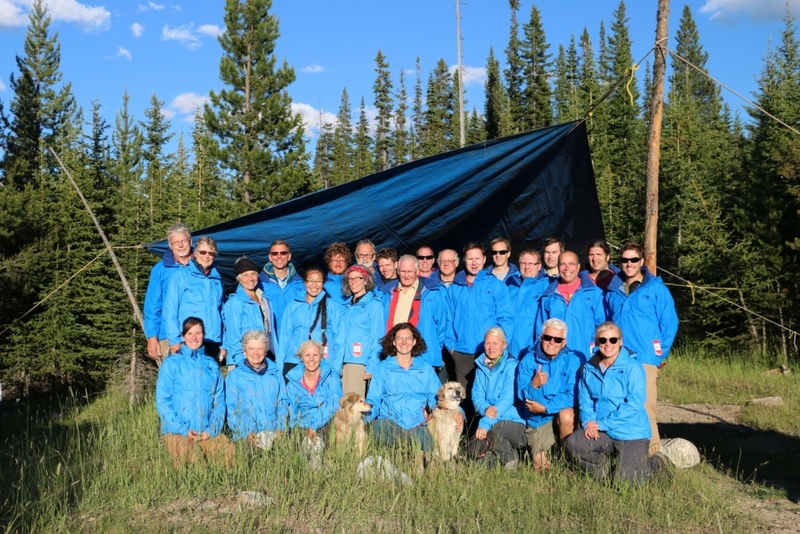 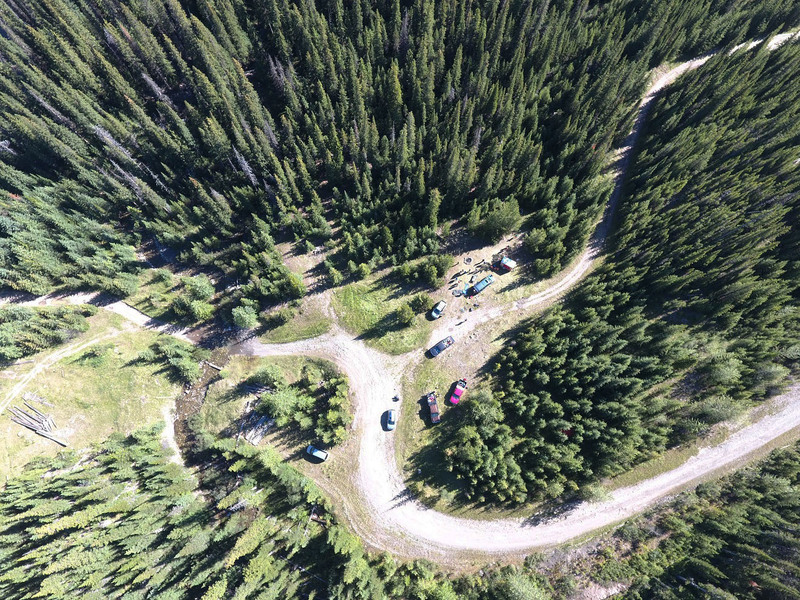 The GDTA Volunteer Crew spent their first day travelling from Calgary to Dutch Creek where the Signature Trip base camp was set up. The crew received introductory training to tool safety, learned more about the trail building objectives for the next four days, received jackets courtesy of GDTA sponsor, The North Face, and ate an incredible steak dinner with ice cream for dessert – fuel for the hard work that would start on Day 2. 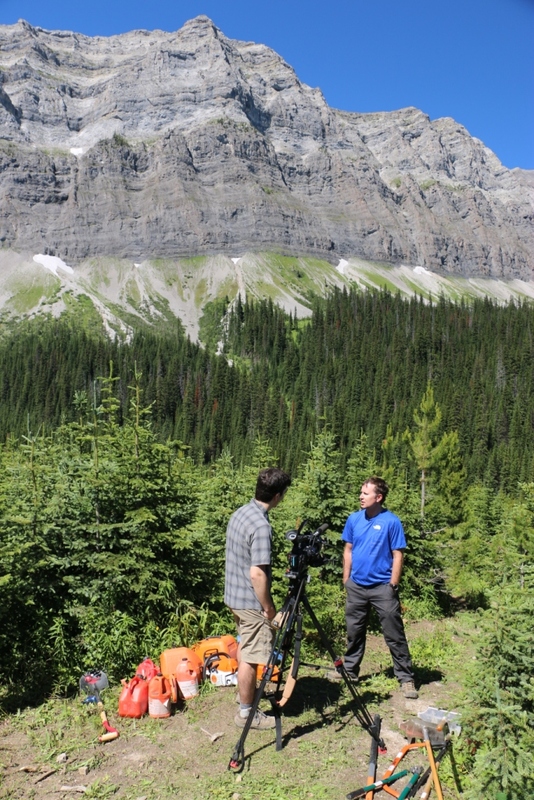 Day 2 began with a hike down the end of the road, tools in tow, to the start of what will become the High Rock Trail. The morning was spent training the crew in the art of building new trail. CBC joined our crew on Day 2 to film and interview several of our volunteers. 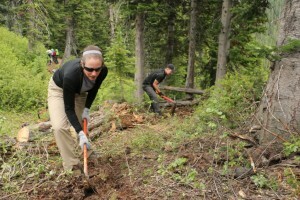 After learning and practicing, the volunteers split into crews and began tackling actual trail construction. 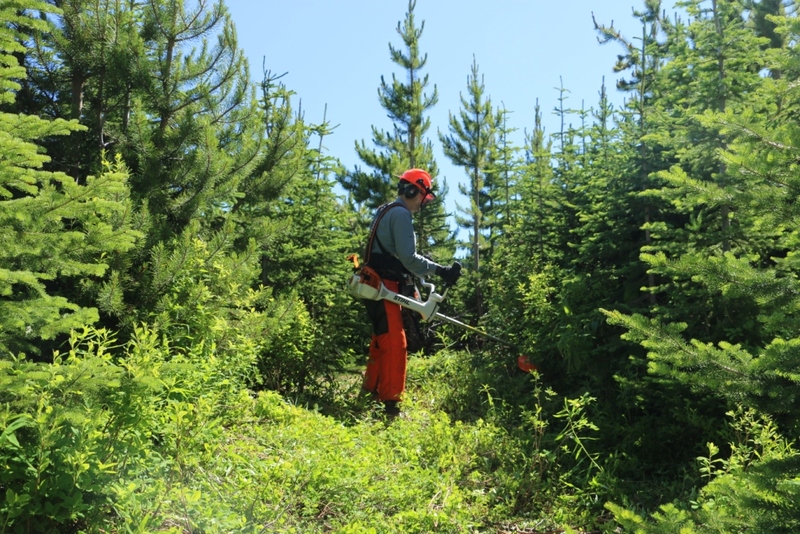 Quickly the crews began demonstrating their newly acquired trail building skills, clearing the large trees with Stihl chainsaws, and shrubs using Stihl brush saws, loppers and handsaws to open up the corridor along a flagged route. 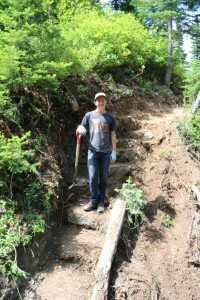 As the corridor opened, a tread building crew followed behind with shovels and mattocks. 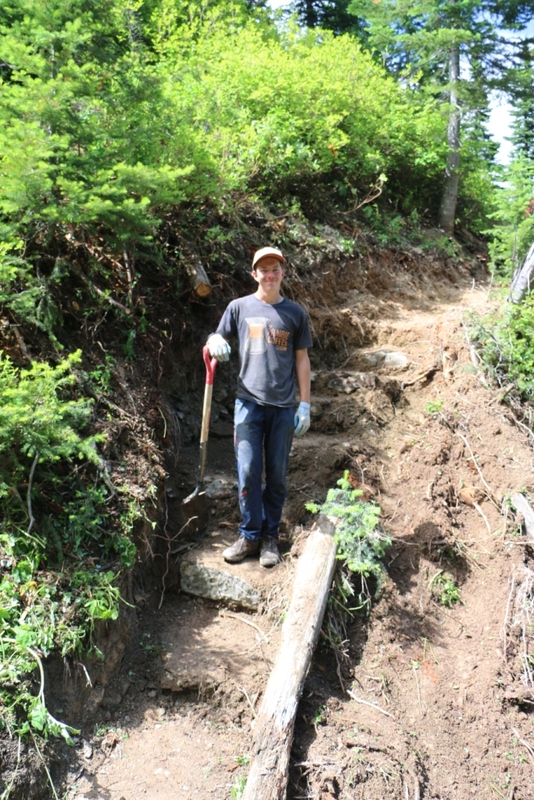 All the while, a crew of four volunteers worked on ditching a lower section of trail that sees constant flooding. 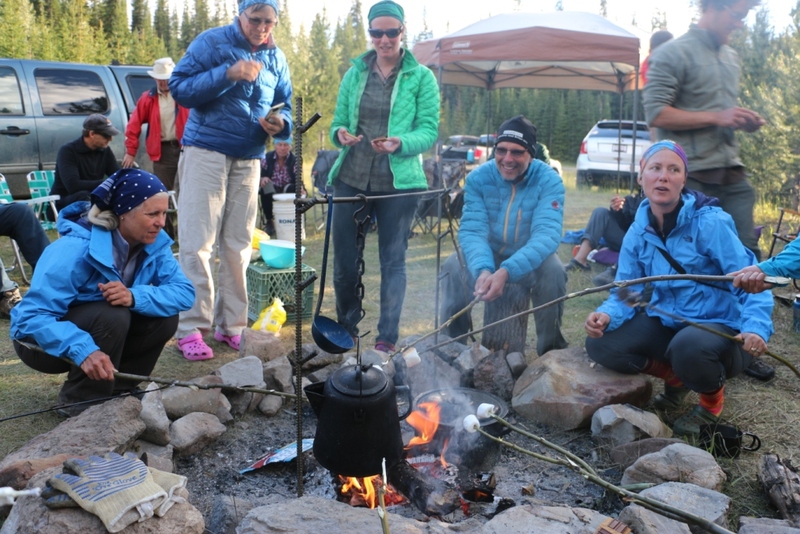 A great first day of work wrapped up with a good meal and relaxation around the campfire. Day 3 began bright and early as the crews hiked back out for a full day of trail building. As rain came down, the two crews connected and 2 km of trail corridor was opened. From here, crews focussed on creating a sustainable trail tread. 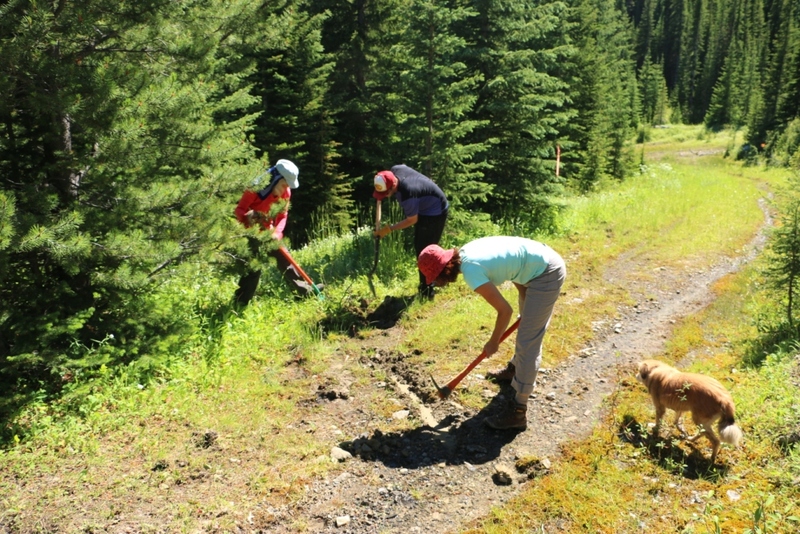 The incredible GDTA volunteers completed the final touches on the brand new 2 km of trail at the end of Day 4. 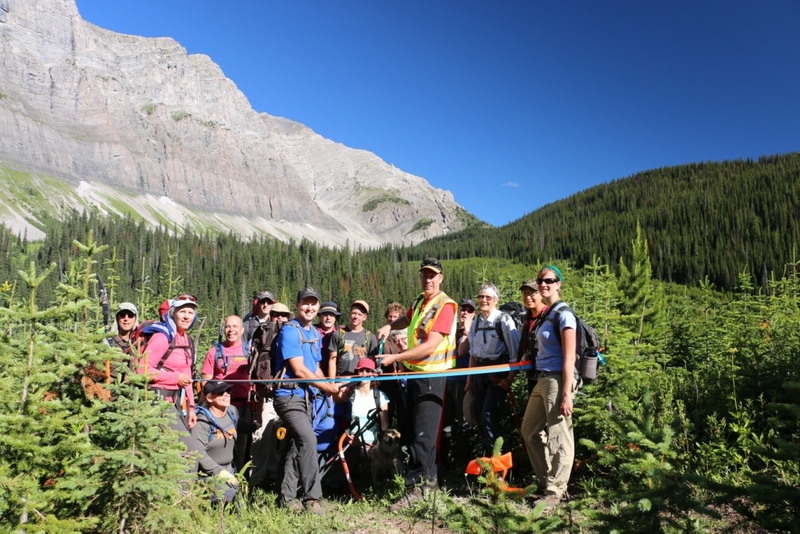 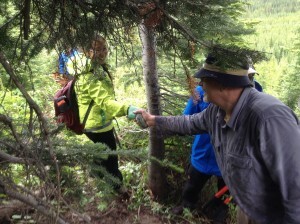 This trail building trip was a success for the GDTA in large part due to the donations and support by sponsors including Mountain Equipment Co-op, The North Face, Stihl, Spray Lake Sawmills, Wi-Com and Great Canadian Superstore. 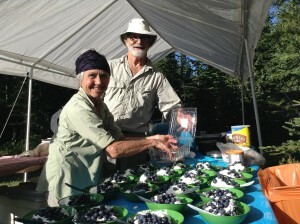 The enthusiastic volunteers worked hard because they had the fuel to keep them going, the tools to do the job and the passion for volunteering in such a spectacular place with other like-minded people. Thanks to all of our dedicated volunteers who participated in this year’s GDT Trail Building Trip and made it such a huge success!